DJ Mix Studio is full-featured and complete audio mixing software for both professional and novice DJ. 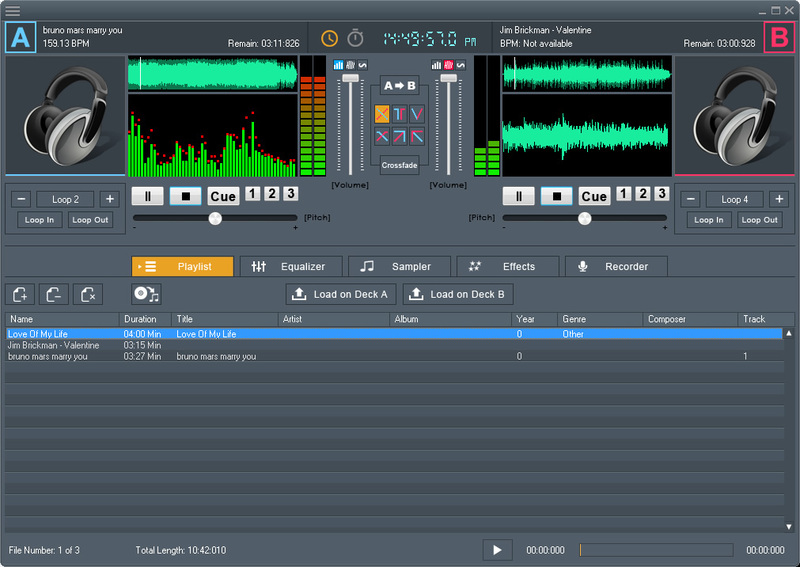 DJ Mix Studio\'s innovative feature set, and user friendly interface will insure that you perform great audio mixes. Dicsoft DVD to Pocket PC Converter is a powerful DVD Converter, Help you easily rip DVD movie to Pocket PC by custom file size, rip DVD's any segment, trim and crop DVD movie, select target subtitle, audio track. ..
A tool for copying several portions from an mp3 file into new (numbered and tagged) mp3 files. Uses Winamp as player. WinX Free AVI to PSP Converter is a free and easy-to-use video converter which especially designed for PSP owners. With this free video converter software, you can convert AVI DivX, AVI XviD to PSP video format and play them in your Sony PSP.